SAN FRANCISCO – YouTube is seeking creators’ feedback on ideas to stop notorious users from misusing the dislike button to harm content and channels. Tom Leung, director of project management at the Google-owned video sharing platform, addressed the issue of “dislike mobs” in a recent issue of YouTube’s corporate series for creators, Creator Insider. Dislike mobs are people who, if upset with a certain creator or video, decide to execute an organised attack where they down-vote or negatively review the content into oblivion. 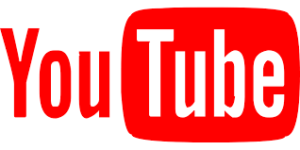 The plans being approached at YouTube for now include suggesting creators to opting into the “don’t want ratings” video that would make both the like and dislike numbers invisible, showing a check-box form to state reasons for disliking a video and the last one is to remove the “dislike” feature entirely, Leung said. Since the statistics of videos is important to the creators, the “don’t want ratings” option and removing the “dislike” feature seem unfair and undemocratic to the YouTube team. Leung highlighted that the product development team at YouTube is aware that not all dislikes are from this particular group of people as some of them are genuine where users hit the dislike button for lack of information or other legitimate reasons. “Creators who watched Leung’s video suggested that people who want to dislike a video should have to sit through a portion of it before the dislike option becomes available,” The Verge reported. Leung said YouTube is not making any changes immediately, but as soon the product team decides what to do, the updates would be shared with users.